If you haven't decided yet on how best to move your pets, it's best to think about which situation will be less stressful. 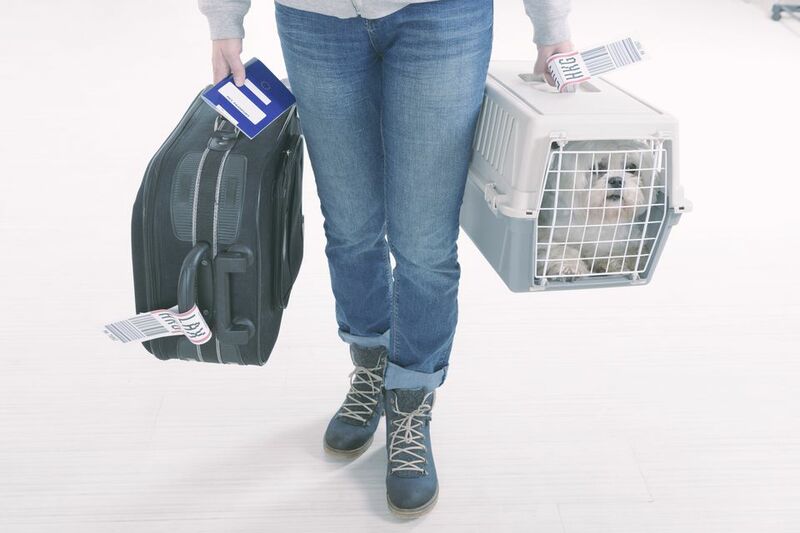 Keep in mind that when you fly pets and are not flying with them, that is they won't be on the same flight as you, your pets must be checked in to fly in the hold or as cargo. If they fly as cargo, they need to check in at least three hours before departure time. Sometimes it is less time and stress for your pets to drive them, especially for dogs. Cats, on the other hand, don't travel well in cars, so moving cats by plane might be the better option. No matter how you decide to move your pets, always have your veterinarian do a physical exam and make recommendations on how best to get them to your new home. If you are planning on moving your pets by flying them to your new home, be aware that most airlines will insist you use an IATA (International Air Transport Association) approved carrier. An IATA approved carrier requirements are based on a species needs and animal size. The IATA Live Animals Regulations describe ​minimum standards for carrier construction for all types of animals, ranging from insects to elephants. Also, space for your animal should be booked a minimum of 48 hours in advance, if not sooner. Most airlines have restrictions on the number of animals they will carry per flight so book in advance. Only small dogs and cats can travel in the cabin with you or if the airline will not allow this due to space limitations, your pet will be sent as special baggage in a heated and ventilated hold. The hold provides a quiet and darkened area, which can be less stressful than a noisy cabin. Can I take my pet on the flight with me?